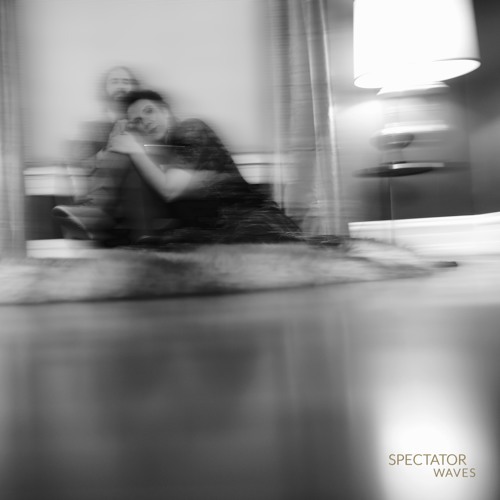 Home / brand new / brand new artist / música / Spectator / Spectator Unveil New Single "Waves"
Spectator Unveil New Single "Waves"
Saint Louis, Missouri pop outfit Spectator, consisting of Megan Rooney and Jeffrey Albert, have just unveiled their brand new single Waves. What drew me towards this song was its intricate guitar melodies and melancholic atmosphere. I am a sucker for melancholic songs and this one is perfect for me. Really enjoying Jeffrey's haunting vocals that set a brooding vibe to the song that is highly infectious. Waves is a perfect song for those nights when you just want to be alone, probably lamenting a lost love. It's definitely a song for the soul and it is perfectly produced with smooth melodies and a captivating, haunting chorus with Meg's backing vocals. If you love guitar melodies and melancholic songs then this one is perfect for you. Stream Waves below! Megan and Jeffrey met in Saint Louis, Missouri in 2006, and began spending evenings together playing each other songs they'd been cultivating for years. At the time, Meg sang in a band and had many fully realized songs, while Jeff had years of pieces and ideas saved up with no where to go, songs that never felt complete. Quickly their ideas blended and new songs starting forming without any way of telling where one person's ended and the other's began. And that's how they've worked ever since. Spectator is compared to bands like Tennis, Cotton Jones, and Mazzy Star.